Why is a hitting a draw a more desirable ball flight than a fade? Simply put, a draw is considered a more powerful ball flight than a fade. The ability to hit a draw with the golf ball is essential to controlling its trajectory. A draw that turns into a hook can disappear into the trees faster than a frightened rabbit trying to outrun a hungry wolf. 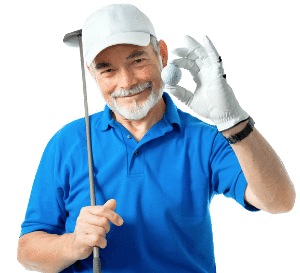 An interesting fact is that the majority of professional golfers do not play a straight ball, but yet do not draw the golf ball. Most will try to have a consistent left to right (fade) or right to left (draw) ball flight. This is especially true off the tee. The reason for this is that they want to expand the area that I like to refer to as their “safe zone”. 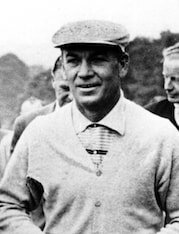 Ben Hogan developed a swing that virtually eliminated the left side of the golf course. By doing this he could aim his tee shot down the left rough and know that his fade would, at worst, have him playing from the left edge of the fairway. In reality, his fade had him playing his approach shot from the center of the fairway more often than not. 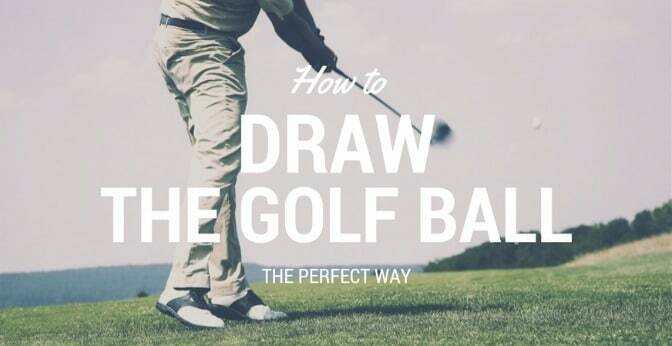 If you consistently draw the golf ball, you can do the same thing but aim down the right side of the hole and allow for your go to shot to get you in the middle of the fairway. If you are a player that has a consistent left to right or right to left, embrace that fact and expand your “safe zone”. Most players, especially higher handicap players, have trouble hitting a draw with the ball, on command. If this is you, then this excerpt will help you to not only learn how to draw the ball, but become confident enough to do it on the golf course when you really need to. Why is it important to be able to hit a draw with the ball? When should a draw be your shot of choice? Where should I aim when I want to hit a draw? Is my grip different when playing a draw? What should the club face orientation be? What should my swing path look like? Will a draw give me more yards with my driver? What is a draw ratio? Where do I want the ball to end up? Where do I aim to hit a draw? Before we even start I think it is important to differentiate between a draw and a pull. Lots of golfers think that any ball that goes way left is a draw, or when it is way way left, a hook. Sometimes a shot that goes left is in fact just a pull. The way to tell the two apart is to determine if the ball is actually curving left in flight. A pull will not curve. It will just sail left right off the club face. A draw, however, will start right (or sometimes straight) and then curve from right to left as it travels forward. If you can draw the ball on command, you will be able to take control of certain situations instead of having them control you, or more importantly, your shot choice. If a draw is your preferred trajectory, then it should ALWAYS be your shot of choice. An obstacle may require you to go around it. Pin placement on the extreme left side of the green would suggest a draw to help you have easier access to it. The obvious answer of course is, aim it to the right. How much right depends on how you want to control the draw ratio. More to come later. Most players find it easier to draw the ball with a stronger grip. But not too strong. A grip that is too strong will encourage more of a hook than a draw. I believe that it is next to impossible to draw the ball with a weak grip. I would suggest that you start with a neutral grip. If you are having trouble, strengthen your grip slightly. 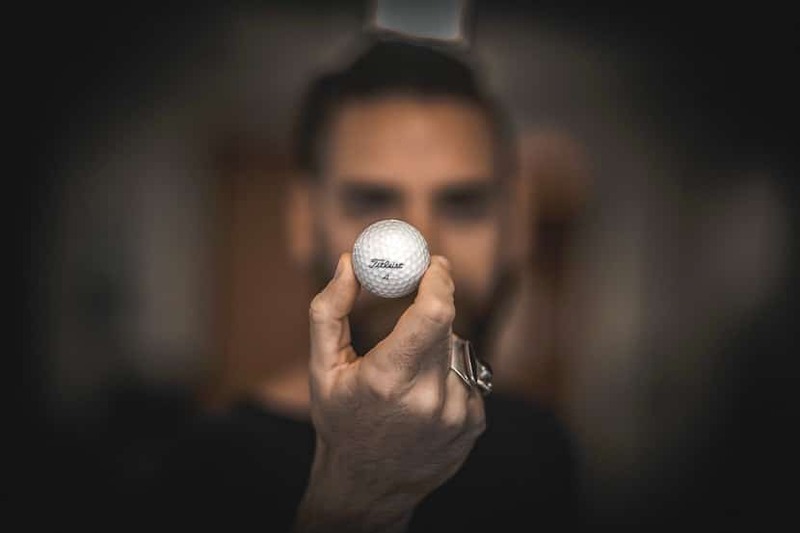 The one thing that you will notice over time, once you have control of your ball flight, is that small changes in your grip can affect your ball flight. This is a good thing, but only when you have control. The club face must be open to target and closed to swing path. The amount will determine your draw ratio, which we will discuss further later on. Your swing path MUST be inside out. Again, the amount, along with the club face orientation, will determine your draw ratio. 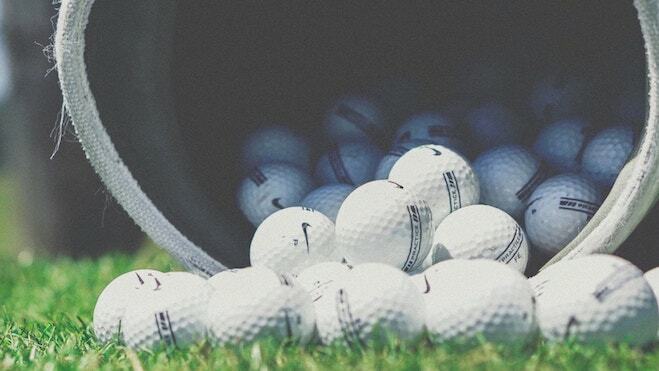 The best way to improve your swing path is to spend hours practicing at the driving range - there is no secret. If all things are equal, swing speed, ball speed, conditions and equipment, a draw s﻿hould go farther. The draw will be a lower trajectory, but should run out farther than a similar shot that is left to right shaping. Drawing the ball is simply a matter of physics. Let’s assume that your target line, for all intents and purposes, is right down the middle of the fairway. First of all. The swing path must be inside out. 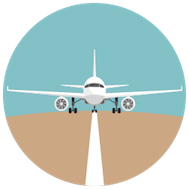 Whether it be 10, 20 or as much as 30 degrees right of the target line, the swing path MUST be directed to the right of the target (for a right handed golfer). If you try to draw the ball with a square or outside in swing path, all you will come up with is a smothered shot that travels way left of its intended target. Next, you must determine the preferred orientation of your club face. Remember, the club face must be closed to the path, but not to the target. If your swing path is 10 degrees right of target and your club face is square to your swing path (open 10 degrees to your target, your draw ratio is 10:10 or 1 to 1. This will not promote a draw. It will more than likely be a straight block towards the rough, trees, hazard or O.B. However, if your swing path is 10 degrees right and your club face is closed 5 degrees to swing path, this will give you a draw ratio of 10:5 or 2 to 1. This will initiate right to left spin on the ball and produce a shot that curves right to left. Basic understanding of golf terminology is needed to be able to comprehend the teaching and implement the procedure. Your swing path is, in layman's terms, the path of your swing. The draw ratio is a term used to describe the relationship between the swing path and the clubface angle. It will be elaborated upon in some detail later. I recommend you use your driver to start with. The reason being that when the ball is on a tee, you are more relaxed and will make a more controlled swing than you might if you were using an iron. Once you have been successful with drawing the golf ball with your driver, move on to your irons. 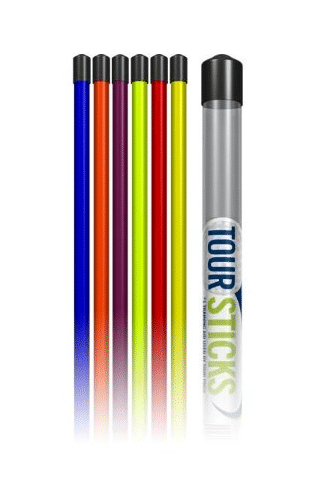 There is a training aid called “Tour Sticks” that may help with your alignment when trying to learn how to hit a draw. Part of the issue with alignment is that our hips and shoulders seem to be on different tracks. This is actually true. The “Tour Sticks” help you to confirm that your eyes are not misleading you. Some sort of alignment aid will give you immediate feedback when trying to understand how to calculate your draw ratio. For example, unless you are a keen mathematician, it may be difficult to actually calculate the amount of degrees your intended swing path is to the right of your target line. Laying two alignment aids parallel to each other on your swing path will help you see the relationship between your swing path and your target line. In fact, if you use the aids to identify all three factors (swing path, club face orientation and target line) it should help in visualizing the theory behind the lesson. 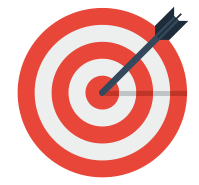 It might sound like a redundant statement, but believe it or not, most players do not identify their target properly. In order to visualize what you want to accomplish, you must first identify and look at your target. Look at where you want your ball to end up and visualize the intended flight of the ball. As you are trying to draw the ball in from right to left, you should be imagining a gentle arc that starts out to the right of your target and slowly curves left to your intended target. Take a look at the illustration below to help you visualize the relationship between; swing path, face angle and target. As you can see, the draw ratio is approximately 2 to 1 here. Even though the path looks to be 10 degrees to the right, the clubface is open only 5 degrees to the right. Voila...this is how you come up with a 2 to 1 draw ratio. When visualizing where you want your ball to end up, take into account your calculated draw ratio. A 2 to 1 draw ratio is what would be considered a moderate draw. It will produce about a 10-15 yard draw with a driver. A higher draw ratio, say 3 to one, will have your ball moving right to left with a borderline hook. Most professionals will shoot for a 3 to 2 draw ratio with their driver and a 2 to 1 ratio with their irons. Remember, the shorter the club, the more difficult it is to produce a draw. Pick a spot to the right of the target (choose a spot that will still be in play if you hit the “dreaded straight shot”). The worst thing you can do in golf is hit an unintended straight shot that causes you to add penalty strokes. The added strokes are bad enough, but the damage to your psyche is hard to overcome. That is why I counsel players to never aim the ball off the golf course. The rough is ok...even a fairway bunker is fine. But trees, hazards and O.B. are no-nos!! This is the line that you want your ball to start on. Let’s say that aim spot is at one o’clock on a clock face as below. Even though your swing path is pointed to 2 o’clock, your club face is closed to the path and pointing at one o’clock. This, with the right to left spin imparted on the ball will result in a shot that ends up at or near your intended target line. Keep in mind that your swing path is an arc, not a linear vector. Another thing to keep in mind when aiming an iron shot that you want to try and draw is the lie that you have. A lie that is thicker is harder to control when attempting to draw the ball. It’s not that you can’t draw the ball from this lie, it is just less predictable. Align at your aim spot, not your target line. This is your intended swing path. Align the club face so that it is slightly closed (not to the target, but to the path). With the club closed to the path at address, the club will impart right to left spin as it contacts the ball. It is this motion of open to closed at impact that will encourage the draw you are trying to hit. Your closed club face should be aimed between your swing path and your target line to create your draw ratio. On your takeaway, bring your hands around your body, not up and high to the top of your backswing. Do not sway your hips back as you start your backswing. This will create a reverse pivot. A reverse pivot is an evil thing and must be eradicated from golf. If you can enlist the help of someone to watch your swing, they will be able to help you identify if this is happening. Swing the club on an inside out swing path towards your aim spot. Imagine you are swinging to two o’clock on the same clock face. If you have taken the club back too flat (or too far inside), it will usually manifest itself in a problem known as “casting the club” or “coming over the top”. To correct this, make sure you hinge your wrists on your takeaway. This will help move the club vertically. Otherwise, your shoulders will just wrap your arms horizontally around your body and end up resulting in an over the top downswing. Try to turn your shoulders at least 90 degrees when taking the club back. This will get your shoulders perpendicular to your target line. This may be difficult for some physically and I understand that. I would suggest some isometric stretching exercises. I have seen miraculous things done with increasing mobility through isometrics. Also, weight transfer is crucial to hitting a draw. Your weight must transfer from your back foot to the front and somewhat on the line of your swing path. It is true that you can hit a draw with your weight transferring directly down your target line, but it is easier to allow your weight to shift down your swing path. The path of the ball should start at the aim spot and turn back towards your target. If you are having trouble with this, drop your right foot back an inch or two to help you create room to initiate the inside out swing path. Allow your hands to release as the ball is struck, almost like turning a steering wheel to the left. Follow through to a high position. Each one of these drills will address various issues in your golf swing that keep you from developing a swing path that is inside out. On the range, take two more golf balls, place one 2 ½ inches forward and to the left of the ball you intend to hit. Put the other 2 ½ inches back and to the right of the center ball. The three balls should form a straight line approximately 45 degrees from bottom right to top left. The idea is to swing and hit only the center ball. If you contact either of the outside balls this will tell you that your swing path is not inside out. When you get proficient and are not hitting either ball, shrink the distance to 2 inches up and left and 2 inches back and right. Once you can master that, you will have the feeling of inside out nailed. 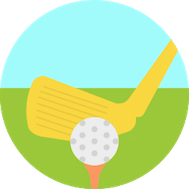 Note: If you are on a busy range, you may want to use long tees instead of balls to keep from toeing or heeling a ball into your neighbors shin. No, this is not a party game to embarrass you. It is a swing thought that will help you drop the club inside instead of casting it outside and over the top. The dropping of the club will encourage a swing path that is inside out. All you need to do is concentrate on pulling your right bicep/elbow down into your body on your downswing. This will eliminate the draw killing “casting of the club”. A simple drill to get you thinking about swing path is this. Stick a tee in the ground about 6 inches in front and to the right of your target line. How far right is going to be your intended swing path. Then visualize hitting your shot over that tee. At the same time, ensure that your club face is closed to that path and you will produce your desired draw. Some believe that hitting a draw is as easy as trying to hit a line drive over the second baseman’s head. It’s not quite that easy, but it is a start. Combine that with the proper club face angle and it will work. Forward press is a term most used when talking about putting. Pressing your hands forward gets the ball rolling end over end instead of skipping along aimlessly for the first three feet. Imagine that same feeling but with your hips. On your downswing, consciously shift your hips forward in an almost uncomfortable manner. What this will accomplish is that it will keep your hands from getting stuck behind while at the same time allow your club face to align properly with where you want it, preferably closed to swing path and open to target. This practice will virtually guarantee that you will eliminate any chance of the dreaded reverse pivot. This will also deloft the club a bit and keep you from scooping the ball high and right. I hope that this article has given you a desire to improve your ball striking. Not only in the sense of drawing the ball, but in all aspects of your golf game. Being able to shape your shots instills confidence in the rest of your game. Drawing the ball is especially desirable because it can add distance to your driver. If you hit your driver farther, your approach shots will be shorter and more accurate. However, a draw is like a loaded pistol. It’s a nice weapon to have as long as you know how to use it.